Exhibition: 18 October - 16 November 2013. Talk and Book Launch: 8 November 2013, 7-9pm. 30 November 2013. University of West London, UK. An exhibition of Ryleys new work from the project Growing up in the New Age was shown as part of Glasgow International at Street Level Photoworks, Glasgow, 2012 and at the Wolverhampton Art Gallery, 2012. The exhibition also included a range of images and materials from the project archive, featuring the work of Dave Walkling. 8 November 2013. Sunderland Minster, Sunderland, UK. 16 May 2013. Shoreditch Town Hall, London, UK. 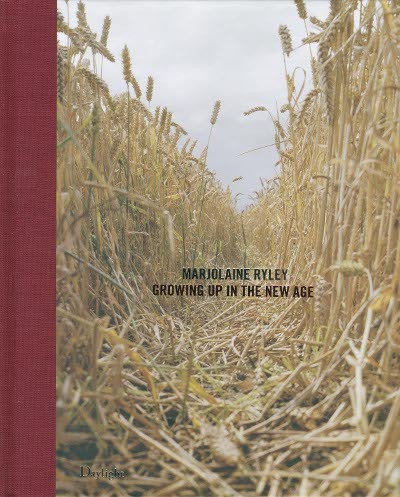 Marjolaine received an Arts Council Grant to include funding towards an artists' book. The Artists' Monograph 'Growing up in the New Age' is published by Daylight Imprint and Distributed by DAP, 2013. Essays by Malcolm Dickson, Brigitte Ryley, Peter Ryley, Val Williams. Additional photographs by Dave Walking. or one of the following links- DAP (Distributed Art Publishers) or Daylight.